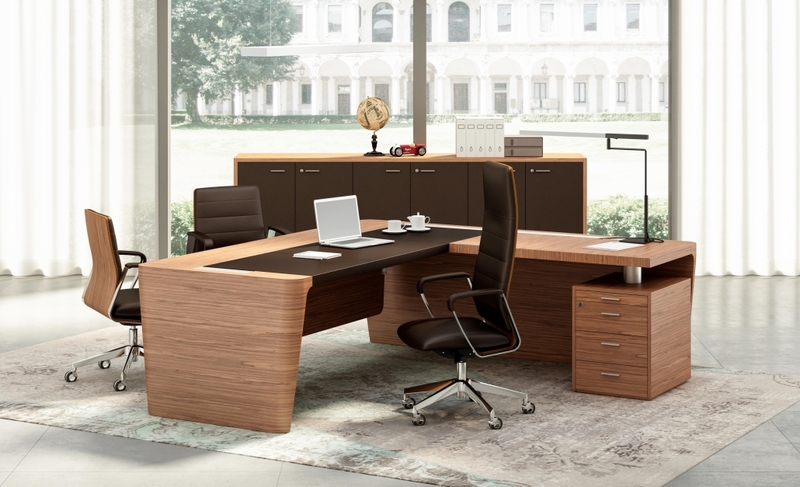 Our executive desks ensure that you make the most of your work space; one that suitable for executives and directors seeking a stylish, contemporary or modern design for their office. All our executive ranges are of the highest of quality, ranging from: modern, traditional and bespoke designs. We can cater to all your needs. 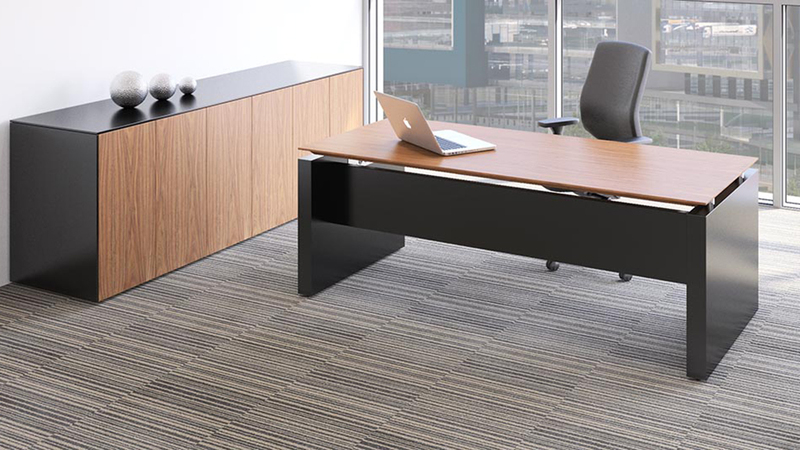 The X7 Range is a contemporary, timeless and innovative selection of desking. 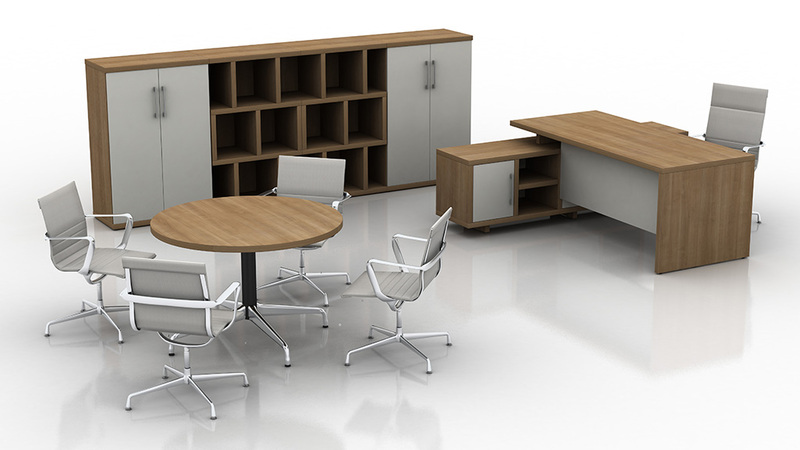 The series includes both desking and storage that showcase its clean minimalist lines and sleek features. Metal interior drawers and soft close storage mechanisms highlight this beautifully designed furniture range. The X7 Range is an example of perfect balance between modernity and naturalness. A project full of charm and suggestions in which the design choices express a clear vocation to the primary forms, simplicity and rationality. A concept of “organic rationalism” full of charm and suggestions in which the design choices express a clear vocation to the primary forms, simplicity and rationality. The new managerial collection T45 is characterized by extremely clean lines and strong personality, featuring a pleasant environment with a stylish combination between old and new aesthetic trends.. With a minimal design, T45 is characterized by the 45° mitred joint between tops and structures and by the combination of melamine finishes. The Cirrus range reflects the latest design and use of luxury materials with well thought out solutions to provide diversity and flexibility in creating an individualistic and bespoke environment in which to operate in comfort. The Element, is oriented towards aesthetic lightness and formal reduction, creating an essential timeless style. 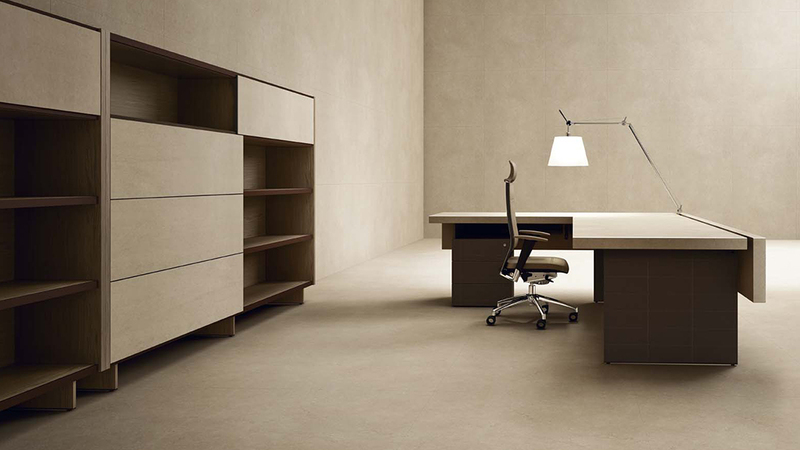 The available finishes and colours, as walnut, unglazed porcelain and hide, are inspired to natural elements and to perceptions which are part of our day-to-day life. 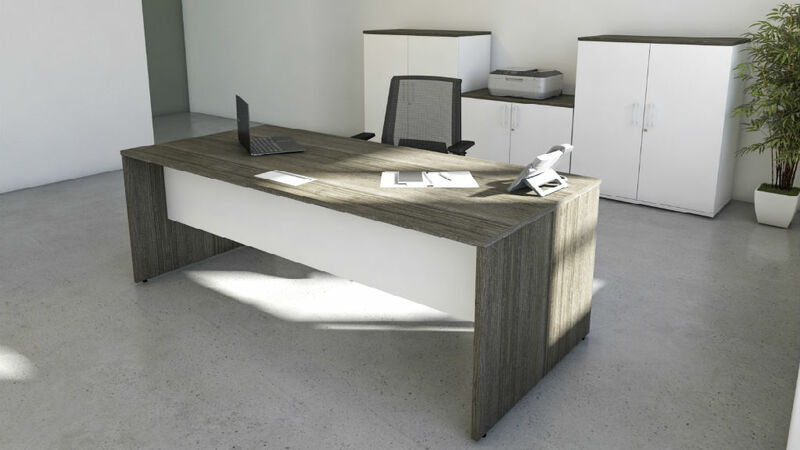 The Ensa Executive Desk features the beautifully finished aluminium leg frame from the Ensa table collection.